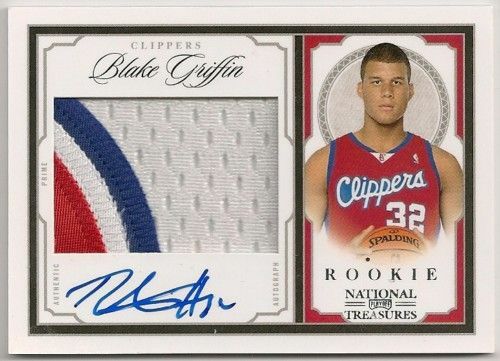 The 2009/10 National Treasures Blake Griffin #/99 Rookie Autograph is off $2,000 from it’s highs in early 2011. The card once was selling for over $3,000, now, the last two sales have been for less than $1,300. Notice the $2,184 Price Drop In 4 Years. OUCH!